Thomas A. Miles | Michigan Health Care Lawyers Wachler & Associates, P.C. Thomas A. 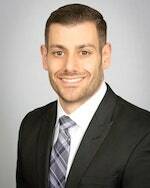 Miles is an associate attorney at Wachler & Associates, P.C. Thomas's practice is primarily focused on representing healthcare providers in both transactional and regulatory matters. This includes matters concerning Stark Law, the Anti-Kickback statute, Fraud & Abuse, and other federal and state regulatory issues. Thomas also specializes in representing and counseling healthcare providers on matters concerning federal and state privacy and security laws, including the HIPAA Privacy & Security Rules and 42 CFR Part 2. Thomas graduated with honors from Wayne State University Law School. While in law school, Thomas was a member of the Wayne Law Moot Court team, both as a national competitor and mentor to other students. Thomas also worked as a student attorney and served as a board member for Wayne State's Free Legal Aid Clinic, wherein he provided members of Wayne County's elderly and indigent populations with legal representation. Prior to law school, Thomas graduated with honors from Western Michigan University, where he majored in Public Law. Before joining Wachler & Associates, P.C., Thomas worked as a healthcare privacy compliance specialist for one of the largest healthcare delivery systems in the nation. Thomas also worked as a civil litigation associate at a law firm in the Metro Detroit area, where he represented national insurers in matters concerning property and casualty insurance. Thomas is admitted to the State Bar of Michigan as well as the United State District Courts for both the Eastern and Western Districts of Michigan. He is also a member of the American Bar Association.